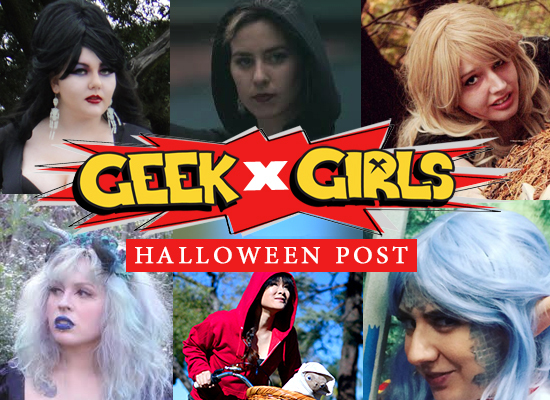 The members of Geek Girls show off their Halloween costumes for this year. Check out the gallery below! Necronomicon Ex-Mortis, loosely translated, Book of the Dead. 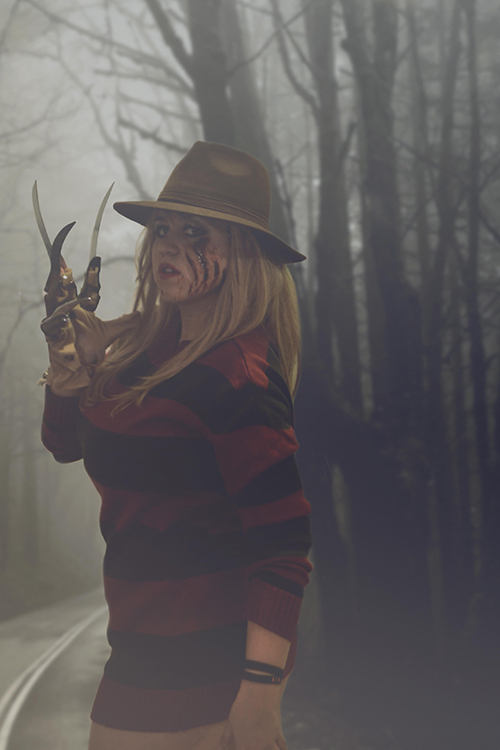 So a few weeks ago i obtained some cool Prothetic transfers, and i thought hey, why not use them for a Nightmare on elmstreet freddie Kruger cosplay. It was a lot of fun. Hope everyone has a fun safe halloween!! 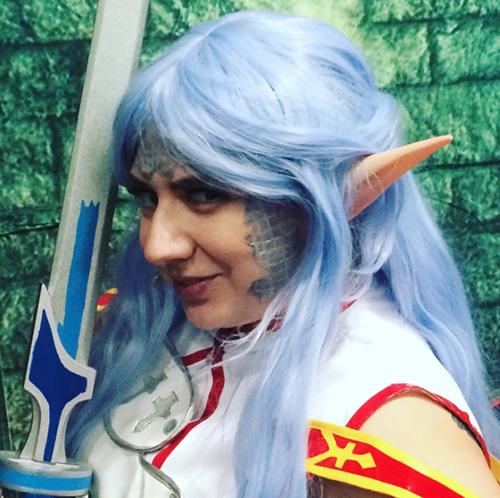 I love Sword Art Online and I really wanted to be Asuna for Hallowen but when I saw SO many Asunas at New York Comicon it prompted me to think a little bit outside the box...or just be weird I'm not entirely sure...so for Halloween 2015 I am Glitchy Asuna...As the story gets to a point where it is possible to jump from game to game...the costume is basically what it might look like if there was a glitch and appearance while transferring over. The outfit and sword are from Sword Art Online with the hair and ears from Alfheim Online. The make up done by the wonderful Symphony Blush was created to look like I was not finished rendering yet. 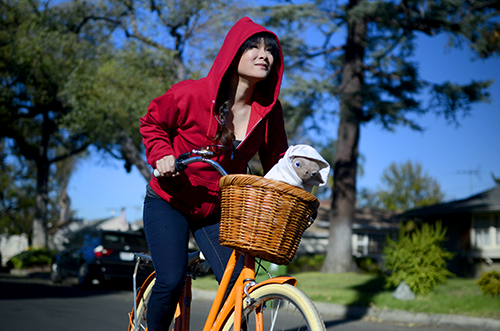 While this is a quickie Halloween costume (given that you can get your hands on an E.T. plush in time), it was PERFECT for me because I bike to work everyday! We dress up at work and I figured this was a way to participate but still be comfortable enough to get my work done at the office. Turned out that people loved the 80's throwback and it was even more adorable since E.T. hung out in my bike basket all day. Bonus? While riding home, people yelled out in surprise, "E.T.!" To which I responded "...phone home!" ​This is a deer girl inspired look thats been so popular. I used more of a colorful look rather than a realistic deer face. Being a cosplayer Halloween is one of the few times I worry less about my costume since I'm a mom. I don't have to worry about being elaborate. Halloween has always been one of my most loved holidays since I can remember and I dont expect it to ever change! Hallowe'en or Samhain is my favourite time of year! The smell of leaves and pumpkin in the air, jack o lanterns all around, the ever darkening sky and eerie neighbourhood displays... everything about this season excites me! 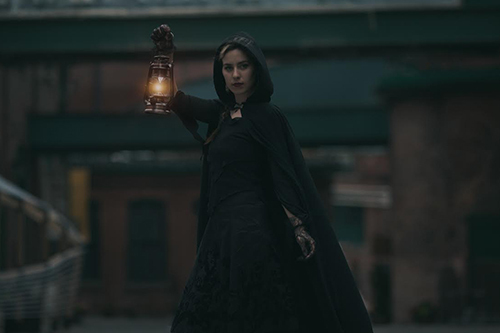 Of course, I also enjoy the thrill of the supernatural, ghost stories and hauntings there is no better way to learn about a city's history than through it's horrors. This particular shot comes from my work with the Haunted Walk of Toronto, where we delve into Toronto's darker past. ...I ain't afraid of no ghost! ;) Have a safe and haunted Hallowe'en everyone! 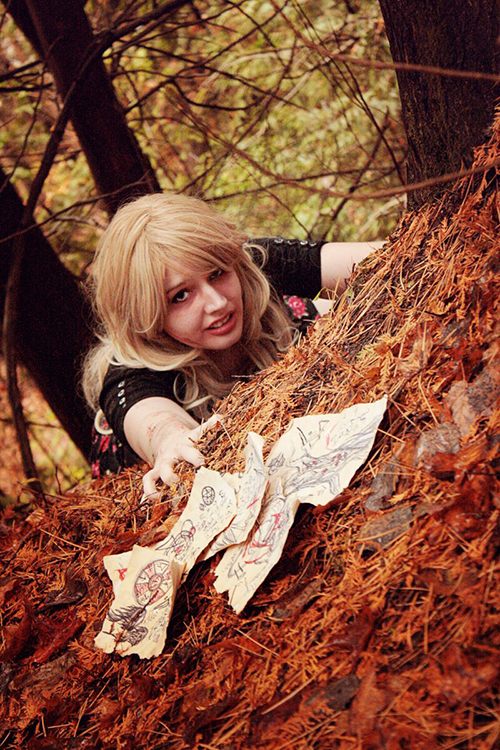 Halloween has always been a favorite time for me to go crazy finding something fun to create. This year I have tried to capture the spirit of Elvira, Mistress of the Dark. We need this for our huge geek Halloween party Heroes and Villains the 13th: Horrors Edition. 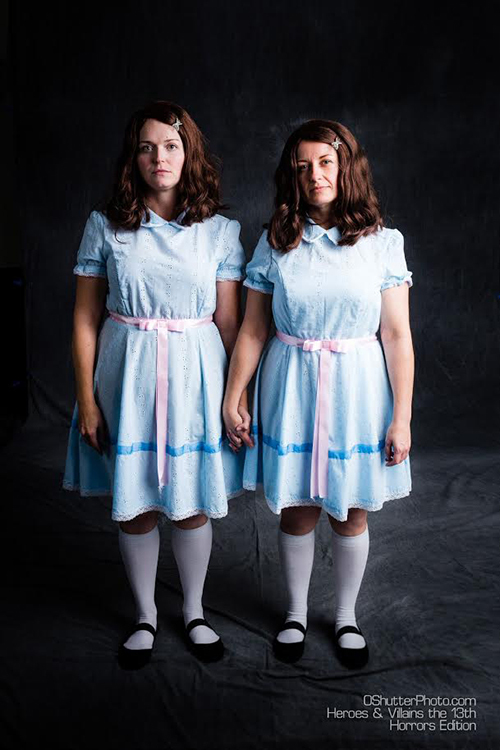 Party has been going for 13 years and we decided do go along with the 13th theme and make it Horror. What's more terrifying than creepy little girls.